Unfortunately, the dress you are looking for (Style: DJ-3540, Name: DJ-3540) is no longer available. 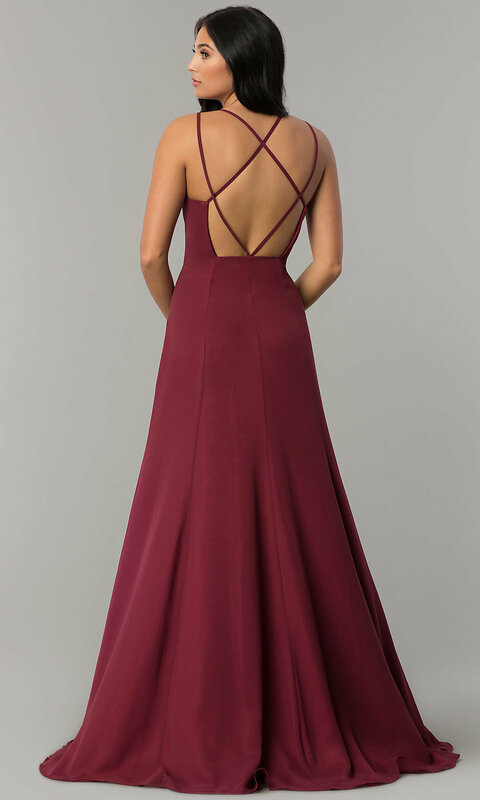 Long v-neck prom dress with multiple straps that crisscross the open back. The model is 5'9.5" and wearing 3" heels.